Early last week I was on the road and while out and about I took the time to visit some of my gorgeous stockists along the way. I visited the gorgeous Glasson Craft Gallery on Monday. Such a gorgeous collection of crafts from around Ireland. 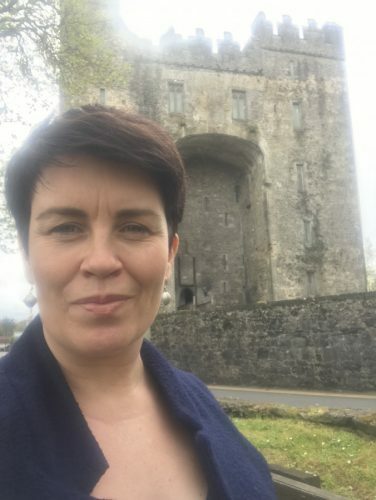 My first visit to Bunratty Castle & Folk Park and I popped into Meadows and Byrne fabulous store right beside the castle. I am so in love with the style in Silverwood Jewellers in Limerick, a wonderfully eclectic range of jewellery with a goldsmith working away in the shop. I was blown away by the view of the Galtees covered in snow as I drove into Tipperary town. The Ha’Penny Place commissioned this ‘long way to Tipperary’ especially for their shop but I am sending them out around the country soon! Martina knows pottery! 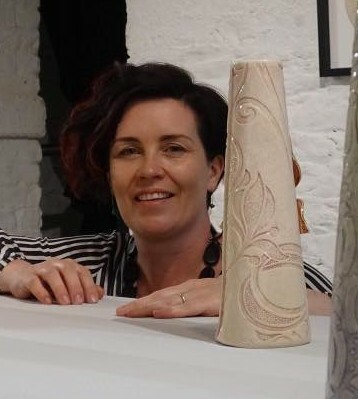 She has such a fabulous collection of Irish pottery in the Tuckmill Gallery in Naas. She has been selling Irish made gifts for over 30 years and really knows her stuff she also has a really beautiful selection of original paintings by local artists. My last stop along the road was Meadows and Byrne in Naas such a gorgeous store. They were working on their Easter window with a fabulous display of mirrors.